My Serendipitous Life as a Baseball Wife | The story as it is, not as others perceive it to be. Hi everyone! For a while now, I have considered My Serendipitous Life as a Baseball Wife a retired blog. But the truth is, I never stopped being a baseball wife. David retired from playing baseball after the 2016 season with the Blue Jays and he jumped in head first to coaching. He is in his second season as a coach with New York Yankees’ Player Development and WOW, are there a lot of differences between playing and coaching! To say that the last few years have been an adjustment would be an understatement. That being said, I think David is exactly where he is supposed to be. I have decided that I want to pick up where I left off and continue blogging about our life in baseball and I hope that you will join me. Since I have been silent for the last few years, I will have to reminisce a bit and give you some backstory until I can catch up fully to where we are in our current experiences. I really do hope that you will stick with us through our evolution. In order to grow this blog, however, I have decided to branch away from WordPress.com and create my own self-hosted blog which you can follow at www.MyLifeAsABaseballWife.com. If you will notice, I dropped Serendipitous from the title. Although I love the word serendipity, it just doesn’t align with my beliefs anymore. I believe a lot more in fate than I do serendipity and so it seems appropriate to drop the word altogether and stick to My Life As A Baseball Wife. Please visit My Life as a Baseball Wife and sign-up to receive updates moving forward. Thank you! I am so excited to share this post with all of you today. Yesterday I had the pleasure of connecting with a wonderful baseball wife who felt led to share her deepest thoughts and emotions with our baseball family. Courtney very bravely posted the piece below on a private group we have for baseball wives and girlfriends and the response she received was heartwarming. So many women, including myself, were incredibly moved by what she had to say. “There’s no Cinderella’s in baseball. Who you are and what you are will show itself sooner or later.” The past week has been one of the toughest for me emotionally. Of course it doesn’t help that I have the hormones of a typhoon raging within, either. But if I were a betting lady I’d be willing to bet that these emotions would be here regardless of the growth of little one. If there is one thing I have come to respect about my husband, it’s that he has the determination of a mule. When you take something from him that he is passionate about, you better get strapped in and buckle down for the ride. Because he’s about to prove himself in ways you didn’t even know existed. Baseball is his first love. The feel of the ball between his fingers, the smell of the grass on the field, the feel of the dirt on the mound, the rush of a setup and the motion of the pitch. All of this is second nature to him. It’s in his blood. In his soul. He has worked harder than I ever contemplated working in his 26 years on this earth. He has sacrificed more sweat and tears than I can count. In 2010 he was drafted into affiliated ball. A dream come true. A dream that suddenly went from one of pure love to one of pure agony. 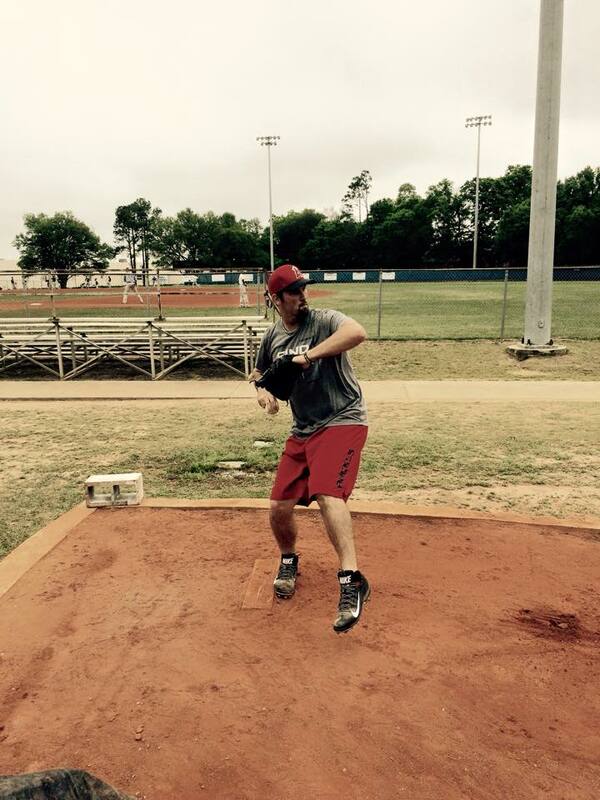 Most people have no idea what a minor leaguer goes through. Believe me, I know there are people out there that literally give up their lives for another. I respect that completely. But there’s something to be said for a guy who puts his life on pause for a game he loves. He packs his stuff, drives off with his family behind, stays in hotels that you wouldn’t even think about stopping at, sleeps on busses for 10-18 hours while traveling to the next field, grinds day in and day out working his body to maximum potentials and fights to keep a job every day because there are others out there hunting for it. Then turns to the fans, smiles, waves and signs balls or cards with a smile on his face and a pep in his step; hiding the strain and tiredness that the 5th cup of coffee he just poured himself is trying to hide. His bank account gets the $7-850 deposit every two weeks and his bills slowly pile because there is no such thing as a paycheck in the offseason. All for a dream. A dream to get to where every ball player wants to be. Then one day you find yourself sitting on the couch, almost 6 years later, baseball-less. I always wondered what this day would feel like and I must say, it feels a lot like an unexpected breakup with a first love. After all, that’s basically what it is. The “my feelings have changed” emptiness of questions that you have at the moment you are no longer in a relationship take over. And like all of our first breakups, the first days are hard. Emotional. Aggravating. As each day passes, the numbness fades and things get better. That’s what the initial seconds of the “I’ve been released” moment feels like. Gut wrenching, sword in the stomach pain. That was almost 2 weeks ago. What I love about my husband is that he hasn’t crawled into a dark space and felt sorry for himself. He hasn’t even gotten so angry that he made irrationally destructive decisions. Nope. He takes it to the mound. He continues to work hard and train. We may be crazy, but we are Noah. I’m sure most people thought he was insane, literally, when he began constructing the ark. I mean who builds a boat for animals, when you’ve never even seen rain? I’ll tell you who. A man who heard His God speak. A man who listened. A man who prepared his field, no matter the cost. Last season, this same time, we were walking through a miscarriage. Now, we are anxiously waiting the birth of our precious Addelyn. No matter what comes, her tiny life will not be taken for granted because we know what it feels like to lose one. Now, a year later, we walk through a release. A death in some sense. We learned last year that the beauty of it is new life always comes next. We have no idea what tomorrow brings. We really don’t even know what the next minute brings. But the one thing we do know is that baseball is not over. And when he gets the opportunity he has worked so hard for, it will not be taken for granted. All that He requires of us is faith as tiny as a mustard seed. Even if what He has called you to do seems so incredibly out of reach, if you believe He can and will provide what you need to fulfill your calling, that He has given, He will give it. So just as the farmer prepared his field for rain, believing His God would bring it, we too prepare our field for the next step. We must always be ready for the opportunity to fulfill The Divine Calling to come. Because if we aren’t, it will never be as powerful as it was intended to be and we might even miss it. One day we will look back on this and see how all of those grungy nights on a bus or sleeping in a bed that most wouldn’t even sit on, the strain, the stress, the pay that seems like nothing and every second of the struggle, the preparation and the wait will all be worth it. Not because he made the show. No, because he obeyed the calling. I can’t say for certain if every toddler is this way, but I am pretty sure every model comes with two modes – Go and Off. As far as I know, my son is on the run or asleep. He is like the energizer bunny; It seems like he will never run out of power, but just when I feel like I’m going to crash hard into the ground he shut off and goes to sleep. I recently made a commitment to start living a more active lifestyle and I can honestly say that I am living up to that promise. Even though my intentions of doing a workout DVD or going to the gym more often are not going as planned, my activity level has increased substantially. When I wrote my last post, David was still home to help with Jet. When he left for Spring Training my mothering duties got REAL. My little man is so incredibly attached to me right now and all he wants to do is drag ME around the house, the yard, and everywhere he desires. This doesn’t sound so bad, but the problem is I AM NOT A TODDLER. I do not in any way shape or form have his energy. Trust me – I wish I did. I just don’t. Maybe it’s because I am pregnant, or maybe that is a cop out. Maybe it’s a combination of being pregnant and just not having the energy I wish I had, but either way, I get a good 12 hours of daily exercise. Up until recently I was carrying Jet all over the place. He wanted to go outside for a walk, but he didn’t want to do any of the actual walking. Thank goodness one of my neighbors mentioned I should try using his stroller again and it was genius! Now, Jet loves to be strolled around the neighborhood… about 24879346 times a day. All this walking will at least ensure I don’t go past my due date – right?! I will say that my body has been aching a lot lately and I am sure it will only get worse as my belly gets bigger, but there is so much that I am loving about these days. With only 4 months left until we welcome another boy into the world, I am taking every moment to spend quality time with my little man. I adore him more than words can say and I am soaking up this time with him. Pretty soon he’s going to have to share me with his brother and I am not sure how he is going to cope with that. I am optimistic that he will be so in love with his brother that he won’t mind sharing me, but then again toddlers aren’t always the most reasonable human beings. See >> http://www.redbookmag.com/life/mom-kids/news/a21020/the-struggle-is-real/ Nevertheless, I am going to cut myself some slack for not “working out” in the tradition sense because I know I am getting plenty of exercise and I have the best workout buddy I could ask for. I can’t believe it is already February. Yesterday David and I celebrated another wonderful year of marriage and I subtly announced that we will be welcoming baby #2 into this world before the end of the year. Throughout my last pregnancy I was completely inactive. I didn’t workout at all and other than walking all over NYC to get around for a few months, I was relatively sedentary. A couple months before Jet turned 1, I decided to get back into a workout routine and subsequently started feeling amazing shortly after. But fast forward three months and I was now pregnant and lacked the major energy I needed to keep up with life, let alone my workouts. This is the time when my workouts came to a complete halt and my diet became filled with starchy carbs that would serve to soothe my nausea. Needless to say, I started feeling like junk pretty quickly. My goal this time around is to be active throughout this pregnancy. I want to get back to working out now that I have more energy and hopefully cut out all the terrible foods I have been eating. If my nausea sticks around all 9 months like it did the first time, I am certain my diet will be the biggest challenge. I am writing this in hopes it will help me stay accountable as I plan to document my journey along way. Snakes? Really? Well yes…I am writing about snakes. After deciding to purchase a home in a rural, yet not-so-rural city, we had to learn what it meant to live among gators, water moccasins, hawks, opossums and even coyotes. We have deer crossing signs all over town and most of our neighbors’ properties are greenbelted and full of roaming cows and goats. Coming from Miami, this was obviously a huge change for us. 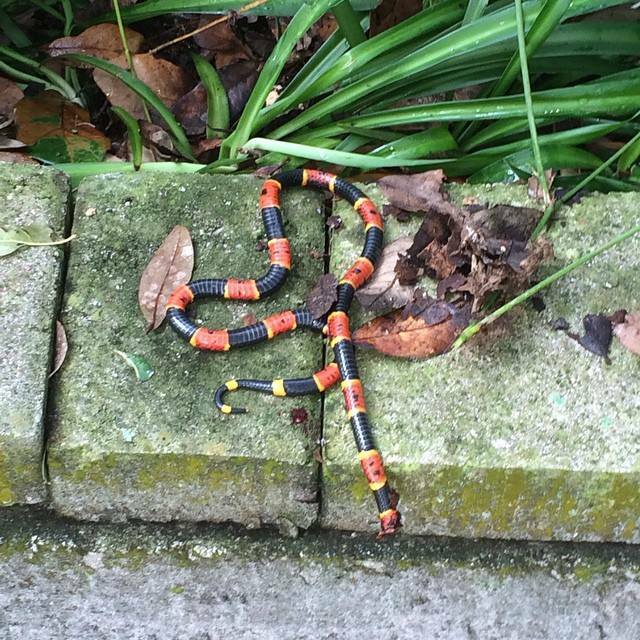 Just a few days ago David came across a little snake known as a coral snake in our backyard. You know the rhyme, “Red touches yellow, kills a fellow”? Well that little slithering critter just so happens to be the second most venomous snake and someone we do not want to be sharing a home with. So as any protective parent would do, David decided he had to kill it before it could hurt anyone. Literally that afternoon, we came to find out that coral snake anti-venom is extremely hard to come-by and there are companies that will actually pay you to have them come out and remove the coral snakes for venom harvesting. Crazy! Our decapitated coral snake. I am sorry, snake lovers. 😦 I am a huge animal lover but we can’t take any chances with our little baby as well as dog and cats sharing a backyard with him. I ended part 1 of “Let’s Be Raw” by expressing how I had to stop feeling guilty for a minute to take care of me. After practically 18 months (9 during the pregnancy and 9 postpartum) of inactivity, I was so unhappy with my muscle loss and weight gain that I knew I had to do something about it. Releasing the extraordinary guilt I felt in taking time to better myself was the key to getting things rolling for me. The truth is, I am a much happier and healthier person when I am working out and eating clean, than I am when I am not taking care of my wellness. Working out releases endorphins and endorphins make you happy – this is a simple fact. I have noticed a huge change in myself all-around and I believe I am a better mother, wife and daughter because of it. We have one body and we owe it to ourselves, our family and God to honor it. I could make this post much longer but I think it is better to keep it short and sweet. Less can be more. 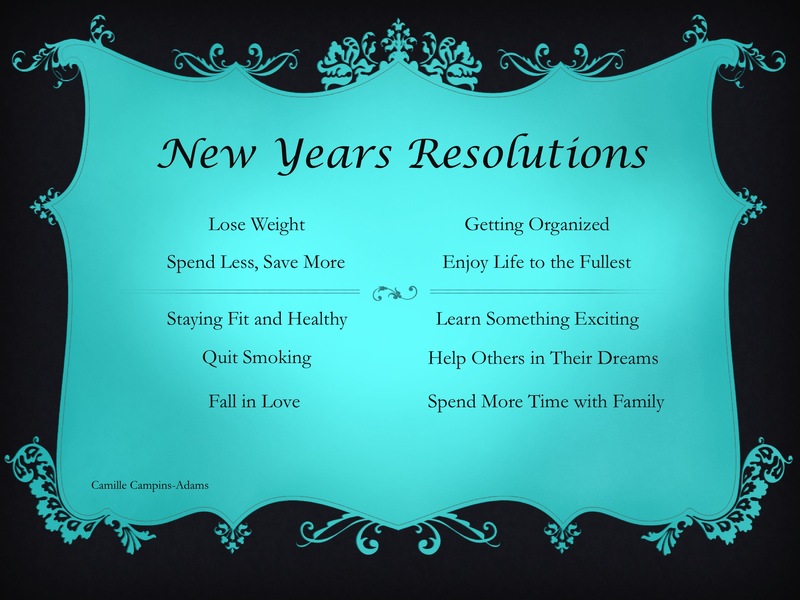 I will start off by saying that often times I struggle with maintaining the healthiest of lives. Let’s face it, it’s easier to just eat out, skip that workout, get caught up cleaning the house or taking care of your family, than it is to put yourself first for an hour to go to the gym, do that 30 minute workout DVD, cook a healthy meal or even read a self-improvement book. I can also say that when I get lazy I tend to eat out more or resort to frozen meals. In times like these I rarely find the time to read the bible or even listen to audiobooks – talk about lazy! But this is why I feel so strongly that being healthy takes intention. 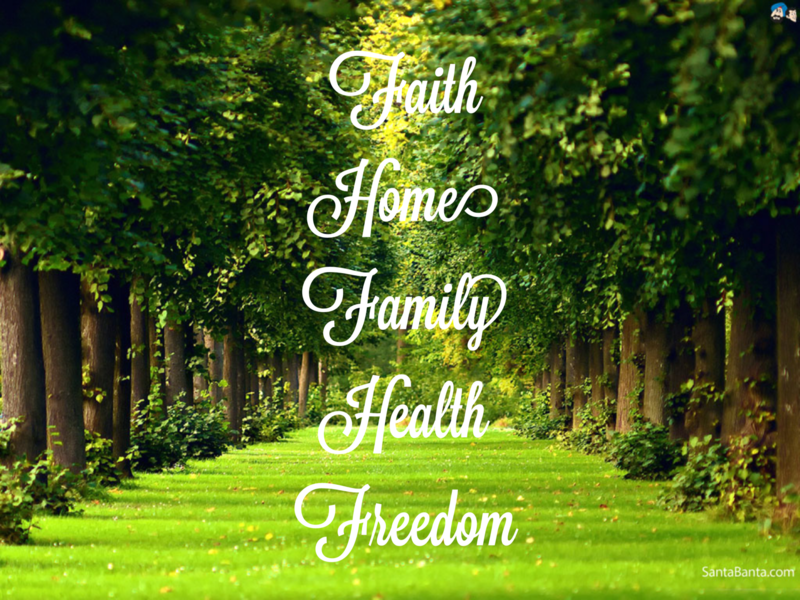 This means making a very conscious commitment to yourself…AND to your family to be a best YOU possible. From a very early age I was extremely involved in dance and sports. I was born in a generation where kids played outside and we didn’t sit around all day playing video games. Needless to say, I have always been active. After graduating from high school I became obsessed with fitness. I went to the gym seven days a week and did cardio for a minimum of 45 mins every single day. I counted calories and obsessed about my weight. Most people would probably say that I was in the best shape of my life – and I was – but looking back, I wasn’t healthy in a holistic sense. Sure, I could squat 135 LBS, run 4 miles (although I’m a TERRIBLE runner) and I could fit into a size 2, but I would binge eat at midnight, I was never happy with my appearance and frankly, I likely had a distorted image of myself. Fast-forward to Spring of my sophomore year at UM and I had gained 30 LBS. WOW- it didn’t feel like I had gained such a big number, but in comparison, that is more than I gained in my entire pregnancy!!! I went from loving fitness to not having any motivation to workout. Not coincidently, this was the same time David and I were on a brief break; I was going out, which is very uncharacteristic of me, and my unhealthy eating habits and lack of sleep were undoubtably culprits in my shocking weight gain. Fortunately, this downhill spiral was short-lived and after roughly 3 months of living a life that was utterly depressing, I made the decision to get back in shape. Somehow, someway, I rose above it all and discovered newfound strength to get back on track. This time around I was convinced I wanted to compete in fitness competitions and I started getting in shape to do so. I got my personal training certification and even considered a career as a nutritionist. To this day, this is when I feel I looked the best because I had more muscle definition than ever before. But after a year of preparation, I watched the documentary Food, Inc and almost instantly discovered that I was driven to be a vegan. (Disclaimer: I am no longer a vegan but I am a pescatarian; More about that in another post). Since such a drastic diet change can throw off your whole metabolism and involves a learning curve, I gained a little bit of weight during my transition. It took me 2 years to find a comfort zone where I wasn’t a raw foodist – this is what I became when initially going vegan since it was easier than getting creative with food – or experimenting with being a vegan, vegetarian, pescatarian and omnivore, yet again, to settle on doing what just felt right to me. Slowly the weight started to fall off again and I found my true set weight-range. When I became pregnant with little Jethro I stopped working out since I was tired, nauseous and a little frightened to do too much. The experience of a miracle growing inside of me was so new and I didn’t want to do anything to jeopardize that. Largely due to the morning sickness I had THE ENTIRE pregnancy, I only gained about 25 LBS. I pretty much ate all carbs and nothing healthy appealed to me. My second trimester I started having the worst heartburn so even the foods I did like were hard to enjoy. Thankfully, my pregnancy went very well and just as scheduled, I had a healthy 7 LB, 8 OZ baby boy in the fall of 2013. I was fortunate that when I left the hospital I lost nearly all the weight with the exception of the 10 or so LBS of fat I gained. When I came home from the hospital I noticed one big change – CRAVINGS! I swear, I didn’t have any cravings while I was pregnant but suddenly all I wanted was junk. I imagine this was due to my high carb diet during the pregnancy but I cannot be certain. Now, this lady was breastfeeding and I couldn’t afford to eat junk. I was the only source of nutrition for my little man, so I had to make sure that I was eating a well rounded diet. Luckily, despite eating like a horse postpartum, the breastfeeding prevented me from gaining weight, but once the breast feeding stopped…it was a different ballgame! I quickly found myself up another 5-10 LBS and even though I felt guilty leaving Jet to go workout, I got over it and decided it was time to make myself a priority again. I had to realize that I wasn’t being selfish, but I was actually doing this as much for my family as I was for myself. I will leave all of you with that for today and get back to you soon with Part 2! 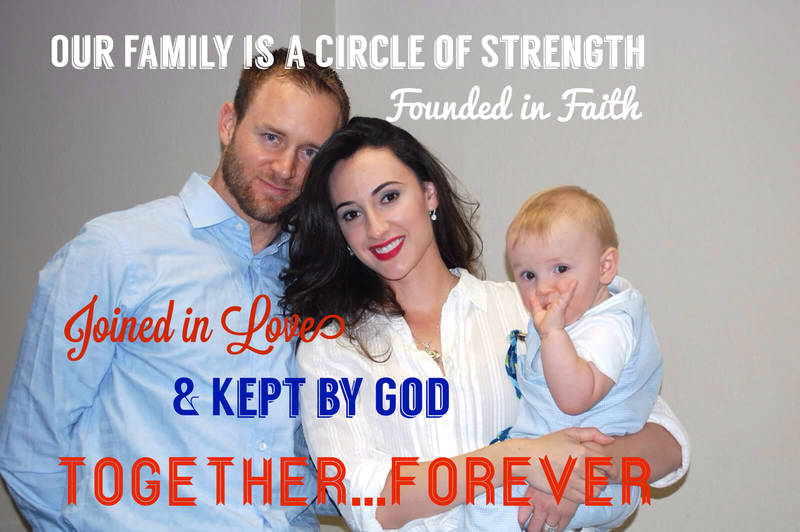 In my last post I outlined five topics that I was going to touch on throughout this blog and today I felt compelled to start with Faith and Family. So what does Family mean to me? In short, I believe our family is comprised of the people that we love. The above is a rather simplistic explanation so let me elaborate. In my opinion, a Family is a tight unit joined, not only by blood and love, but by a commitment witnessed by God. We live in an ever-evolving world with relentless sensory overload. Because of this, it is so easy to get caught up in the things of this world and forget the things that are most important. This is why I believe that in order for a family unit to exist in harmony, it must share the same morals and values that subsequently fuel it to thrive. This is why the quote above resonated with me so deeply. We all know there are dysfunctional families out there – we all have them – but when our family unit is not held together by something greater than our own self-interests, chaos and disjointedness can ensue. In the case of my family, we follow one God – Jesus Christ. He guides our believes, and therefore, our morals and values. He is the foundation of our family and our faith in Him is what gives us the strength to respect one another as individuals, but also as a unit. We will forever be together – in this world and in the next. Hi everyone! I know it has been some time since I have written a post so seeing this may come as a surprise. I guess being absent on social media has been my M.O. since having Jet so I won’t pretend that I haven’t put this blog on the back burner before. I can admit that one of my greatest weaknesses is the lack of consistency. I am great at starting things but not so great at staying consistent and pushing through when things get stale or tough. In an effort to live a more purposeful life I have decided not to put so much pressure on myself to talk about baseball and what I do as a “baseball wife,” but rather, to give you insight into my life as a wife, mother, daughter and child of God. Subsequently, I hope to inspire a few people along the way, because at the end of the day we are here to leave this world a slightly better place than the day we graced it with our presence. And with a little consistency, I hope I can accomplish this. *Below are the top 5 topics you can expect me to write about in the future. We go back. Wayyy back. Don’t miss some of my latest posts!